In February and March 2011, a salvage excavation was conducted at 7 Shone Halakhot Street in the Jewish Quarter of Jerusalem (Permit No. A-6112; map ref. 2221/6315), following extensive renovation work in a private residence. The excavation, on behalf of the Israel Antiquities Authority, was directed by K. Raphael, with the assistance of N. Nehama (administration), A. Hajian (surveying and drafting), N. Zak (plan), C. Amit (studio photography), L. Kupershmidt (metals laboratory) and R. Kool (numismatics). 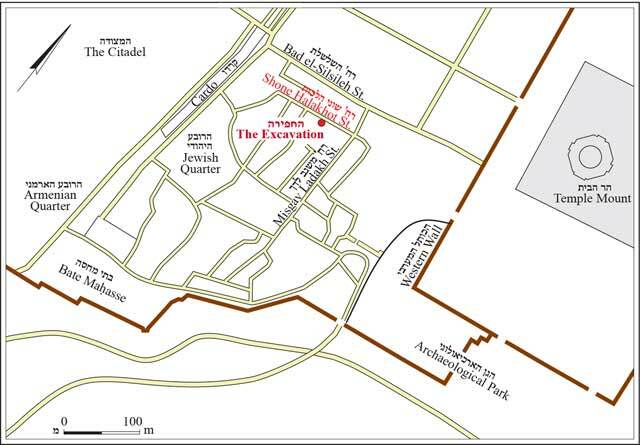 The excavation took place in an Ottoman-period building comprising two vaulted rooms along a narrow alley in the northern part of the Jewish Quarter (Fig. 1). The excavation reached down to the bedrock, unearthing a medieval dwelling with thick external walls that were largely set directly on the bedrock. Several deep grooves carved in the bedrock remain from a quarry of the Second Temple period. The earliest coins and pottery sherds found in a fill that covered the quarry date from the second and first centuries BCE. Similarly dated finds were unearthed in a small salvage excavation carried out under the adjacent building (5 Shonei Halakhot; Billig 2011). Most of the architecture and small finds unearthed in the excavation relate to a dwelling built during the mid-twelfth century CE (the Ayyubid period) that remained in use throughout the Mamluk period (the late fourteenth or the early fifteenth century CE). The building comprises a central, long rectangular hall, along a North–South axis, and at least two additional rooms—to its east and west: the eastern room is incorporated into the adjacent modern structure; the western room was only partially excavated due to safety concerns. Two entrances lead out of the hall, one into each of the adjacent rooms. The walls were constructed of roughly dressed stones, resulting in irregular courses. 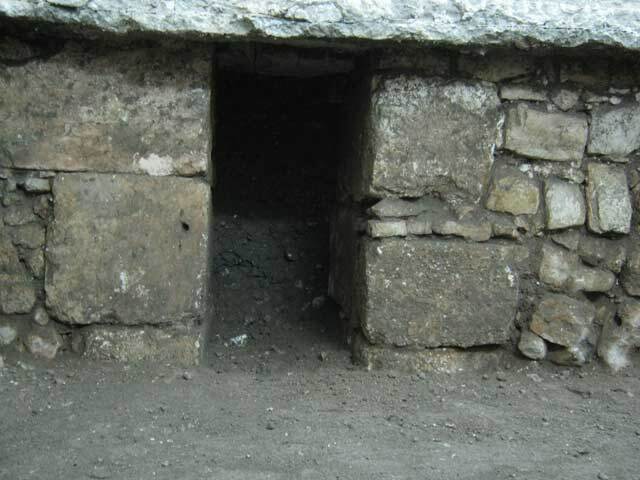 Large, well-dressed stones were used only in the doorposts (Fig. 2). The walls were repaired and rebuilt a number of times, perhaps due to damage caused by earthquakes, such as that of 1303 CE, or simply because of regular wear and tear over time. 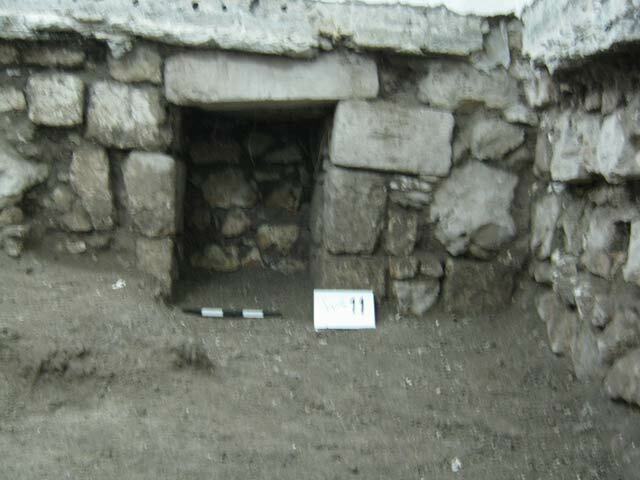 Their thickness (1 m) suggests that the house had a second floor and that the rooms described here may have served as a cellar. During the Mamluk period, a partition wall was added in the central hall. Two Mamluk-period floor levels separated by a layer of accumulation (thickness 0.4 m) suggest that the dwelling was briefly abandoned in the fourteenth century CE, perhaps due to the plague that struck Jerusalem in 1346/7. A large, rock-cut cistern extends south of the central hall; a built entrance with a large lintel led into it (Fig. 3). It is unclear when the cistern was hewn, but the latest sherds from the fill within the cistern date from the fifteenth century CE. The solid, wide walls of the medieval structure served as foundations for a building constructed during the seventeenth century CE. This building seems to have been still occupied during the late Ottoman period (nineteenthand early twenty centuries CE). The quality of construction as well as the nature of the ceramic and glass finds reveal that the residents of both the Medieval and the Ottoman-period buildings were ordinary folks. Billig Y. 2011. Jerusalem, The Jewish Quarter. HA-ESI 123. 2. The entrance to the Eastern room, looking east. 3. The entrance to the cistern, looking south.